Introducing our first ever False Eyelash Blender… say goodbye to that tell-tale gap between your own lashes and your falsies and hello to seamless, sleek & natural looking false eyelashes! Your New Lash Bestie! YES GIRLS... it looks like we will be changing the lash game- AGAIN! Eylure Brow Amplifier - No. 30 Blonde is a long wearing gel that builds, colors and tames the brows. This is a one-stop product for beautifully full brows! sets, defines, and holds brows in place all day.! Eylure Brow Amplifier - No. 10 Dark Brown is a long wearing gel that builds, colors and tames the brows. This is a one-stop product for beautifully full brows! Sets, defines, and holds brows in place all day! Eylure Brow Amplifier - No. 20 Medium Brown is a long wearing gel that builds, colors and tames the brows. This is a one-stop product for beautifully full brows! Sets, defines, and holds brows in place all day! Eyelure Brow Control and Shape Gel helps you to stay in control of your brows to create a well-groomed look. Featuring a taming brush and long-lasting fixer gel, the formula holds your shape throughout the day. The gel is enriched with Aloe Vera, Panthenol, Nettle Leaf Extract and ProCircul8, so you can keep the perfect eyebrow look for longer. 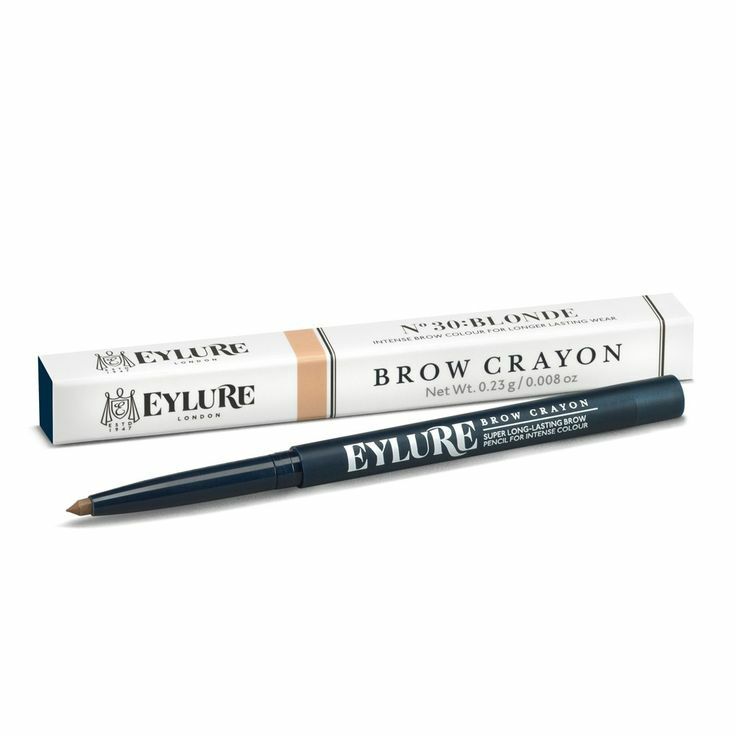 Eylure Defining and Shading Brow Crayon in Blonde helps you to fill in and add colour to your brows when they are looking sparse. 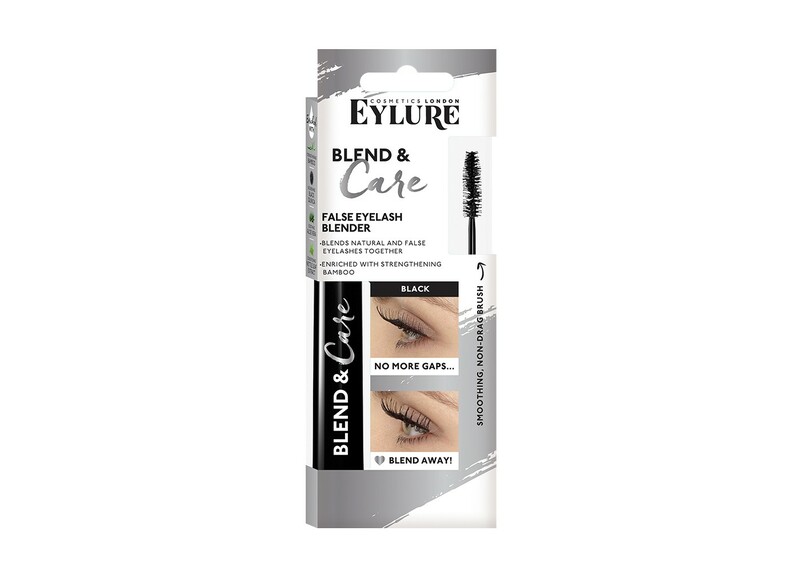 Eylure Brow Defining and Shading Brow Crayon, Dual Ended, Blonde Firm Pencil has a soft textured formula that provides you with intense, long lasting colour to create perfectly groomed brows. Eylure Defining and Shading Brow Crayon in Dark Brown helps you to fill in and add colour to your brows when they are looking sparse. Eylure Brow Defining and Shading Brow Crayon, Dual Ended, Dark Brown Firm Pencil has a soft textured formula that provides you with intense, long lasting colour to create perfectly groomed brows. Eylure Defining and Shading Brow Crayon in Mid Brown helps you to fill in and add colour to your brows when they are looking sparse. Eylure Brow Defining and Shading Brow Crayon, Dual Ended, Mid Brown Firm Pencil has a soft textured formula that provides you with intense, long lasting colour to create perfectly groomed brows. Eylure Brow Duo Brush & Wand is Double Ended brow tool ideal for brow maestros! This new duo implement brush tool is a slim, shaped brush is perfect for adding colour whilst the graduated wand will tame & tidy. Eylure Brow Ink in Blonde temporarily dyes the skin underneath your brows to fill in, define and help you to create a professional shape to your brows. Allowing you to make a statement with your brows, the ink has a soft tip that makes the process of applying intense and even colour even easier. 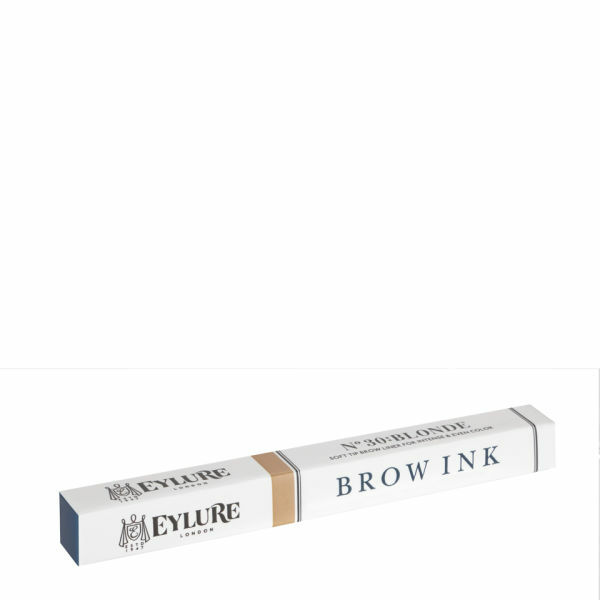 Eylure Brow Ink in Dark Brown temporarily dyes the skin underneath your brows to fill in, define and help you to create a professional shape to your brows. Eylure's Brow Luminizer Double Ended Highlighter Pencil (Matt & Shimmer Dual Ended) creates luminosity at the apex of the brow. The duo pencil has a bone-toned matt at one end and a sheer shimmer at the other.